My mom requested a Fiesta! for her birthday dinner and I pulled out all the stops. We had tacquitos, chips with dip, tacos, and margaritas. This Queso Blanco stole the show and the bowl was nearly licked clean. The ingredients are all simple and easy to find. I will for sure make this everytime we have taco night. Here are the ingredients. 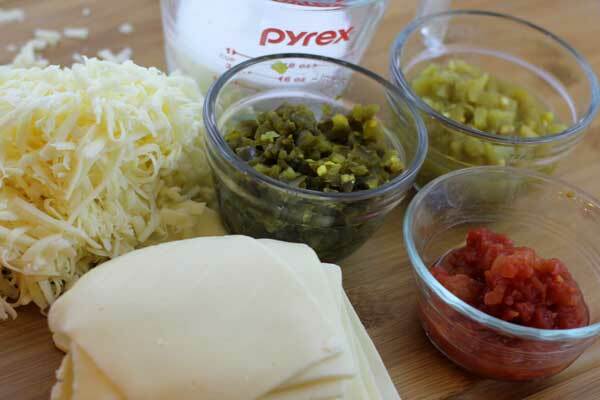 White American cheese, Monterey Jack cheese, diced jalapenos, diced green chilis, and diced tomatoes. Oh! And don’t for get the half ‘n half to make it just the right consistency. White American cheese can be found right at your deli counter. Don’t buy the wrapped sliced in that are in the cold case with the rest of the cheese. 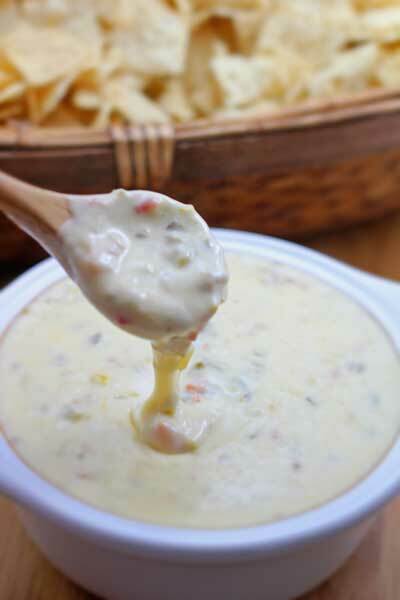 You want the fresh stuff for this queso to turn out perfectly creamy. In a medium sauce pan, combine all ingredients and stir until melted. Stir continually so as not to burn the bottom. Serve with chips, tacos, tacquitos, and a spoon. If your canned diced tomatoes, are large diced, use a chopper to dice them nice and fine.